When Ruth Jones Nichols ’96 was still in high school and thinking about applying to William & Mary, she started having doubts about whether she would fit in. Despite having the intellect and drive to excel at a top-tier school, she couldn’t afford the university and was unsure if someone who looked like her could thrive because of the color of her skin. For Jones Nichols and generations of other black students who were unsure about their future at William & Mary, a conversation with Carroll F.S. Hardy HON ’12 quickly turned their doubts into optimism, fueling their success at the university and in their professional lives. Hardy, who served as associate dean of multicultural affairs and later as associate vice president for student affairs from 1980 to 1995, changed the trajectory of so many students’ lives, according to alumni who were impacted by her mentorship and friendship over the span of several decades. Hardy passed away in 2012 but her legacy as a beloved leader and passionate advocate of diversity and inclusion at the university will live on for all time coming with the establishment of the Carroll F.S. Hardy Scholarship Endowment. The Hardy endowment represents much more than just scholarships support; it represents hope for exceptional students facing financial barriers and an opportunity for them to realize their dreams just as Hardy would have wanted them to, said Earl Granger III ’92, M.Ed. ’98, associate vice president for development at William & Mary. Under Hardy’s leadership, William & Mary saw significant growth in both the black student population and graduation rates. The 10-point system Hardy developed is credited as a significant reason why the campus experience improved for black students and allowed them to thrive. Through this system Hardy paired black freshman with black upperclassmen who served as mentors and helped guide their peers through challenging times. Hardy’s tenure at William & Mary also resulted in the development of six summer enrichment programs for black middle and high school students, which created a robust pipeline of prospective students. Under her leadership, 15 multicultural student organizations were developed and the university hosted the National Black Student Leadership Development Conference for college students for several years. In 1992, Hardy, along with several William & Mary alumni, founded the Hulon Willis Association (HWA). Named after the first black student admitted to William & Mary, the association works to enhance the quality of life for black students and to encourage fellowship and engagement among alumni. Just last summer, nearly 200 alumni commemorated the 25th anniversary of HWA in Washington, D.C. At the weekend-long event, Hardy was often remembered and celebrated among the attendees. To date, 60 members of the William & Mary community have contributed to the Hardy scholarship. 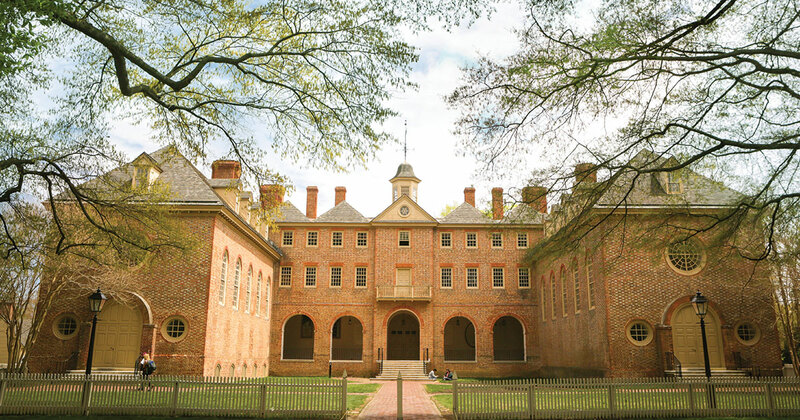 In 2016, William & Mary dedicated one of its residence halls in honor of Hardy. The hall is now officially known as Hardy Hall, and is located on Barksdale field. The renaming of the building was one of the many steps William & Mary has taken to recognize those who have contributed to diversity and inclusion efforts at the university. The dedication came on the heels of the Task Force on Race and Race Relations' report and recommendations, which was the impetus for the renaming of campus buildings — including Lemon Hall — to more fully reflect the diversity of the W&M community. Amy Smith Jasper ’89, P ’18 remembers seeing Hardy at the opening ceremony of a summer program she was attending at the university while she was in high school. She remembers that she had a great presence, spoke with such authority and always maintained grace. Jasper said that Hardy became the face of William & Mary for her. “I think she brought a level of wokeness before people knew what being woke was,” Jasper said. “She kept people on their toes. Her life was a life of fighting the fight and she did that at William & Mary when there were few other people to do that. I think her impact was beyond us as black students, because us being at William & Mary impacted everyone. Jasper says she and her husband, Keith Jasper ’89, P ’18, knew there was great and lasting value to donating to the Hardy scholarship. “There will always be scholarships, but for a student to get this scholarship and understand the history of black students at William & Mary through Hardy is powerful — we just knew we had to do this,” she said. If you would like to support the Carroll F.S. Hardy Scholarship Endowment, please visit FortheBold.wm.edu/diversity. To read more about Hardy and her impact on William & Mary and students, please visit wmalumnimagazine.com.